Baby cured of HIV! What does it mean for treatment now? 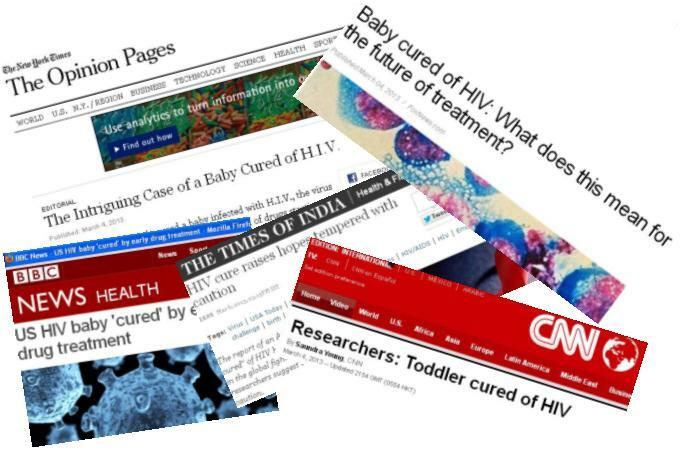 This month we have heard some exciting news: a newborn in the US who was shown to have HIV was treated with a full strength combination of HIV drugs for 1.5 years. Then her mother took her away for 5 months – discontinuing the treatment. When the mother brought the toddler back she was found to have no virus in her – and no anti-bodies targetting the virus. The first hard evidence of a cure for HIV in a child! This is wonderful news, because it shows again a ‘proof of concept’ that a cure for HIV is possible. For most people with HIV who are on the life-saving Anti-Retroviral Therapy (ART) medications – the medicines effectively kill all the virus in their circulating blood supply. But the virus manages to ‘hide’ in an ‘dormant’ form in some of the body’s own CD4 cells. 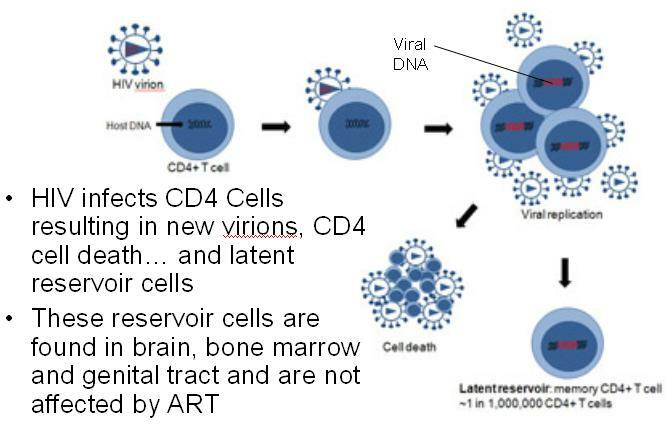 These ‘latent’ CD4 cells are not affected by the ART medications. 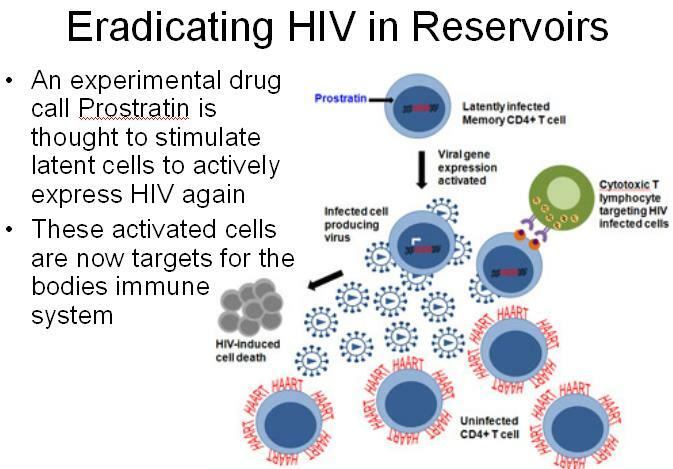 So if a person with HIV stops the ART medication – what happens is that the HIV genetic material in the latent resevoir cells get ‘turned on’ and start producing new HIV virions because there is no ART in the person’s blood to prevent them from multiplying. In the case of the little girl – researchers think that the immediate starting of ART meant that the ART medications wiped out all the HIV in the girl’s blood – and prevented the formation of the latent viral reservoir. We are thrilled to see that early and aggressive treatment in this little girl seems to have stopped HIV from ‘getting a foothold’ – and that this girl now does not need to take the ART medicine life-long! We would expect to see changes in HIV treatment for HIV infected new-borns where they are immediately put on treatment after birth. By God’s grace very few new-borns are now HIV positive because mothers are being treated with ART and so the chance of transmission from mother to child has gone down from about 30% to less than 5% (if all the treatments are taken correctly). But the hope is now that even for the 5% who are born with HIV despite treatment to mother – they can be cured! This will obviously mean more research and careful planning – so we will not expect new protocols very soon – but probably within a year or two we should see new ways forward. What about for adults? Sadly most adults are infected with HIV without themselves knowing they have the disease. Usually by the time a person starts on ART the virus has done its damage and will have set up an impressive array of latent reservoir cells. The idea is that by giving prostatin – along with existing ART – the latent reservoir cells will become active and so open themselves up to attack by the ART. If this works – then it should be possible to rid the body of latent reservoir cells and at some point in time stop the ART. And not have HIV show up again! There is still a long way to go along this road – studies need to be done on how toxic prostatin is (and other drugs like it), how effectively they cause the cells to express themselves, how quickly they work, what doses are needed etc. etc. We are not close to a cure. But the real possibility of a cure is starting to come into view. Lets keep praying for our medical research community. We need to see God inspire them to new treatment breakthroughs. And we all want to see a functional cure as soon as possible! In the mean time – it is vital that every person with HIV – young and old – who is on treatment with ART – should continue to take it. We must not stop the medications until we have the rock-solid proof of a functional cure. And by taking the medicines faithfully – we trust and hope that each person currently living with HIV and on ART – will see the day when they can stop taking their meds! But till that day finally comes – keep on the ART medications! Don’t give up! Don’t stop!